As a blog writer there may be various reasons due to which you might be finding it difficult to post your blogs on regular basis. Whereas it is possible that there would be some writers who must be interested to post their blog on your blog column. In such situation it would be better to provide them an opportunity of posting their blogs on your blog. This will enable you to get connected with your potential readers but it will also provide fresh and interesting content to your readers. Other option is to get other writers engaged with you and develop your personal blog team. After which they will write a blog for you without disclosing their name in front of your potential readers. But do you know how to add contributors or authors to your blog in blogger. Team blogs are quite useful when small groups of people wish to contribute to a single blog. Though this feature was already available in wordpress , recently Blogger too has enabled this feature. So now Blogger Users can have up to 100 multiple Authors or co-Authors for their blogs. So this new Team Blogging feature has enabled multiple authors to manage a single Blog. Although the owner of the blog will be the admin by default and all new authors he invites will be given co-author account. They can only EDIT their posts and they won’t have the feature to edit / delete others posts. However the admin can change the privileges of the co-authors anytime. The most common reason of involving more authors or contributors in your blog is that you might be interested in enhancing quality of your blog. An administrator of a team blog has access to the blog's settings and template, as well as the ability to edit and delete posts made by other members of the blog. Additionally, they can add or remove other team members. Any number of members can have admin rights on a single blog. In this tutorial, I will explain how to Add more co-authors or guest authors to your Blogger Blog. 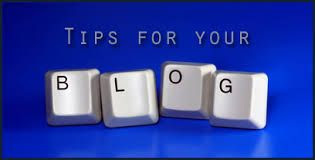 Just follow these simple steps to enable this feature in Blogger. First, find the "Permissions" section under Settings | Basic. Go to the Settings page of your blog. Click the link for Permissions. Next, type the email addresses of the people you're inviting to the blog, separating each address with a comma. They'll receive an email with a confirmation link soon. Note that they must have Google Accounts, and if they don't already, they'll be prompted to create one. When you are ready to send the invitations, click OK.
Once the author accepts your invitation , he can start writing in your blog. But he can only edit or delete posts written by him. He can’t delete posts written by others. If you want anyone of the author to edit others post , then you need to grant him admin privileges. 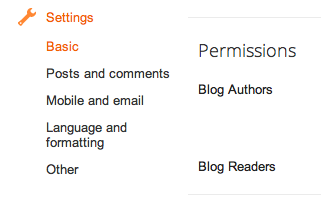 For granting Admin privileges , go to Settings page of your blog and navigate to Permissions sub-tab. Beside the author name you will see a button ” grant admin privileges “. Well said bro, you made it right!